Our Six Days Southern Sojourn - Ghumakkar - Inspiring travel experiences. 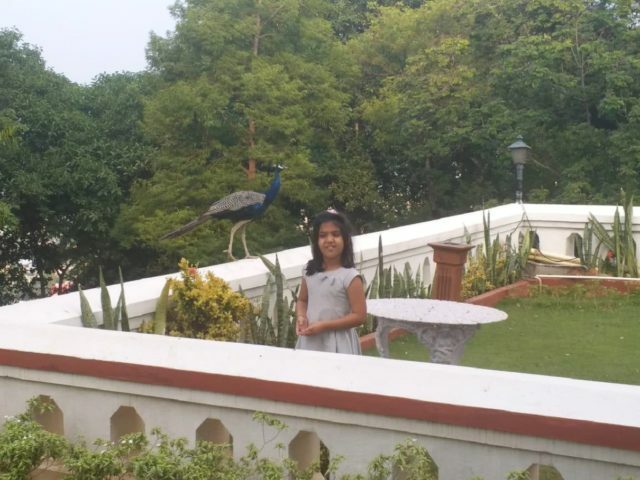 Our son Captain Gaurav Bhatia, Master Mariner, lives in high end Old Mahabalipuram Road (OMR) Hiranadani , Chennai with his wife Shefali and our 7 years old granddaughter Ariaana while our 10 years old grandson studies in the prestigious Lawrence School in Ooty. Our grandson had long desired that his grandparents come to pick him up for his winter holidays break commencing from 23 Nov 2018. 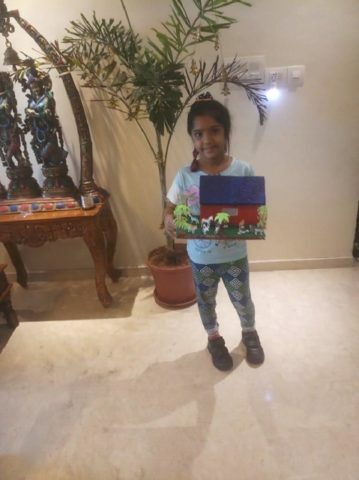 Gaurav chalked out our 6 days itinerary from 22 Nov 2018 from Noida to Ooty, Madurai, Mahabalipuram and Chennai and return back to Noida as any longer programme would upset our daughter Neerja’s busy work schedule and our pet dog Happy. On 22 Nov 2018, Neerja dropped us at Terminal 3 and I and my wife Rajni boarded the Indigo flight at 1120 hrs for Coimbatore, reaching there by 1530 hrs. Gaurav, Shefali and our granddaughter Ariaana had already reached at the airport driving down their Duster from Chennai covering nearly 480 km from OMR Hiranadani Colony. 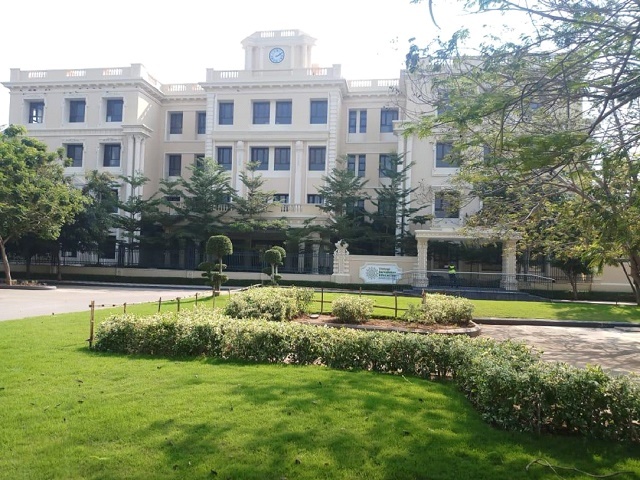 Coimbatore also known as Kovai is a major developing smart city in the Tamil Nadu located on the banks of the Noyyal River amidst Western Ghats. It is often referred to as the ‘Manchester of South India’ due to its cotton production, garment and textile industries. Coimbatore is also called as the “Pump City” as it supplies country’s large requirements of motors and pumps. The city is one of the largest exporters of jewellery, wet grinders, poultry and auto spare parts and is renowned education centre. Proudly, Coimbatore is also rated as the safest city in India for women according to the National Crime Bureau Records. We had our first taste of refreshing South Indian filter coffee and quickly left for Ooty. The Western Ghats are the UNESCO Heritage Site also known as the Sahyadri (The Benevolent Mountains) famous for its biological diversity in the world. They are spread from north to south along the western edge of the Deccan Plateau and separated by a narrow Konkan coastal plain along the Arabian Sea, starting south of Tapti River near the Sonagadh town in Gujarat, running through the states of Maharashtra, Goa, Karnataka, Kerala, Tamil Nadu and ending near Kanyakumari at the southern tip of India with an average elevation around 4000 feet. The road journey from the Coimbatore to Ooty is roughly around 87 Km. 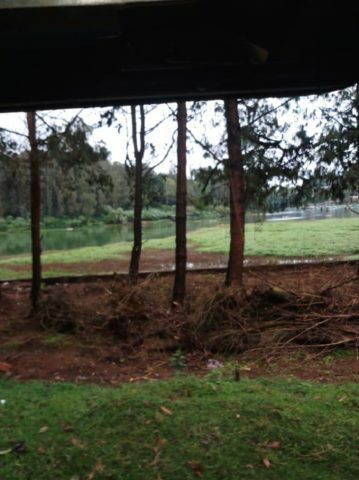 Udagamandalam, also known as Ootacamund, Udhagai or Ooty is a popular hill station over 7000 feet above sea level in the Nilgiri Hills (Blue Mountains). Its economy is based on tourism and agriculture, along with the manufacture of medicines and photographic film. There are numbers of good residential schools including ‘The Lawrence School’. The town is connected by the Nilgiri Ghat roads (NGR) and narrow gauge Nilgiri Mountain Railway (NMR). The Ghats section starts from Mettupalaym which is nearly halfway in between. The roads are quite windy with two route options- firstly, via Mettupalayam-Kallar-Burliar-Coonoor- Ooty with 15 hairpin bends and heavy traffic, while the second option, that we took being Mettupalayam-Aravenu-Kotagiri-Ooty which is slightly longer but with lesser traffic and fewer hairpin bends. Due to heavy fog and drizzle, the visibility was poor and driving slow and fraught with dangers. We reached Ooty around 1930 hrs tired and quickly moved to our 2 room accommodation booked in advance in the Ratan Tata Officers’ Holiday Home (RTOHH). 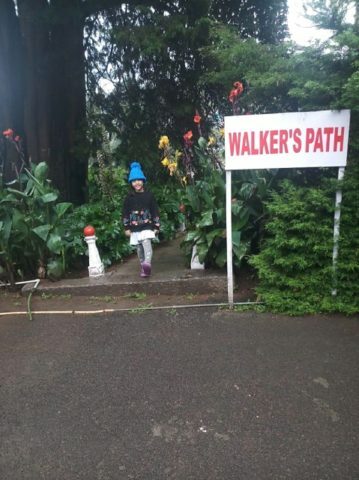 Built around 1890, this colonial era majestic property, nestled on top of a small hillock amongst oak, pine and deodar trees was graciously gifted by Sir Ratan Tata’s wife. 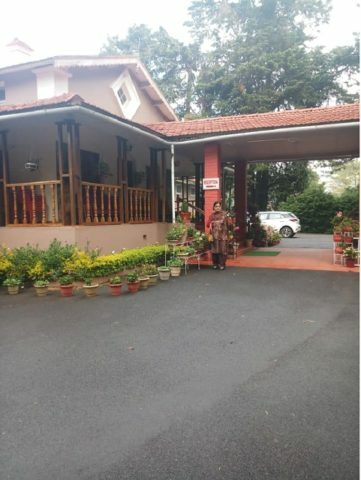 My take is that if there’s a place to stay in Ooty, it is this military like Holiday Home right in the heart of Ooty, yet away from the city’s hustle and bustle and a perfect getaway stress buster. There are 20 spacious rooms, recreational area for kids with an outdoor badminton court, Burma Bridge, swings and a walkers’ path while many decent eateries like Hyderabad Biryani House (HBH) located at stone’s throw. We all were dead tired and slept like logs. Next day morning, I and my granddaughter went for a long walk and she enjoyed swings and climbs on to Burma Bridge. After breakfast, we enjoyed the trip on the largest tourist attraction on the narrow gauge Nilgiri Mountain Railway from Ooty to Coonoor and back. Coonoor, known for its production of Nilgiri tea is located at an altitude of 6,070 feet above sea level, and is the second largest hill station in the Nilgiri hills after Ooty. 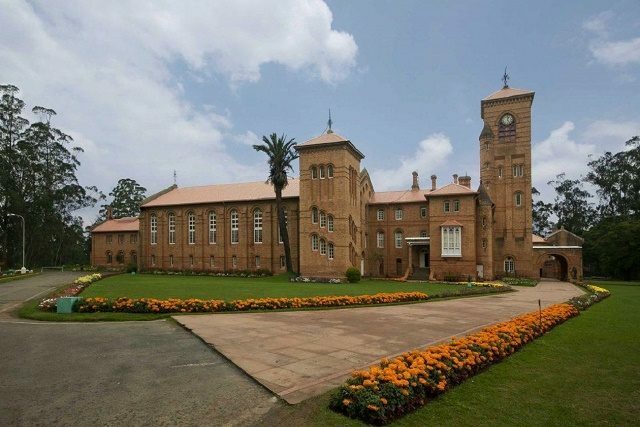 The train passed through Ooty Lake, Lovedale where our grandson’s Lawrence School is located and Wellington, which is the home of the Defence Services Staff College (DSSC) – a premier military training institution. The Madras Regiment originated in 1750s and one of the oldest Indian infantry regiments, has its Regimental Centre in Wellington. The fascinating journey with floating clouds, lovely nature’s landscape and well laid tea gardens was very soothing indeed. We saw many foreign tourists too enjoying the ride. 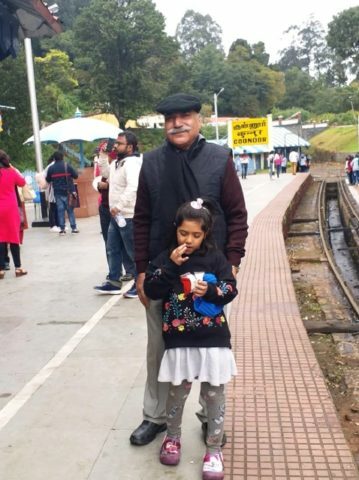 At Coonoor Railway Station, we clicked many pictures, enjoyed filter coffee at the platform and boarded the return journey train after 15 minutes. his friends, warden and class teacher mingled with all of us warmly and lovingly. Being very hungry we all drove to Hyderabad Biryani House (HBH). HBH has good ambience and its Biryani, roasted chicken, kababs and numerous food options are gourmet’s delight. We all were tired with day’s events, had a short nap and remained cuddled in our quilts while it was my duty to keep constantly brewing tea for we four adults while our grandchildren enjoyed munching chocolates and playing in the Holiday Home’s well spread and immaculately manicured garden. In the evening, everyone was feeling bit lazy and tired and both Gaurav and me drove up to HBH for collecting packed dinner that we ate and went to sleep. On 24 Nov morning, we packed our stuff and after sumptuous breakfast and drove to our next destination Madurai. The drive through tea gardens spread over the slopes of the Nilgiri Hills was good as we missed that on our way up journey due to fog and late evening darkness. The road and civic sense in the entire South India are much better than what we go through in the North India. While in the hill stations in the North India, tourists from plains through plastic waste everywhere and deforestation is destroying the ecology, the Nilgiri Hills are ecological delight. ‘The Athens of the East’, Madurai, located on the banks of Vaigai River is the second largest city of the Tamil Nadu famous for its Meenakshi Temple. We reached our pre-booked accommodation ‘THE TAJ GATE AWAY HOTEL’ located on top of a small hillock. The main building was the erstwhile residence of the CEO of the Madura Coats Ltd, since 1890 and acquired by the Taj Group in 1989 that has now 63 rooms in 5 blocks. 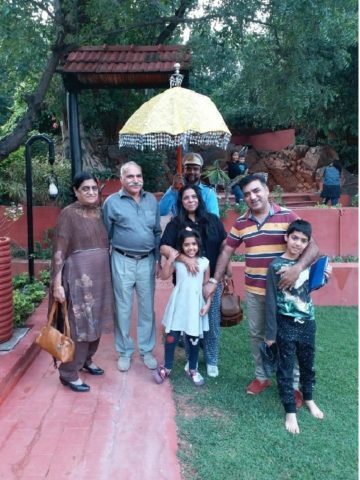 The warmth, food, layout, ambience, nature walk, birds, flora and fauna, the romantic ‘Moon Deck’ and gastronomical Madurai Cuisine were out of the world experiences. It was fascinating to see peacocks mingling with tourists nibbling roasted chanas from their palms. 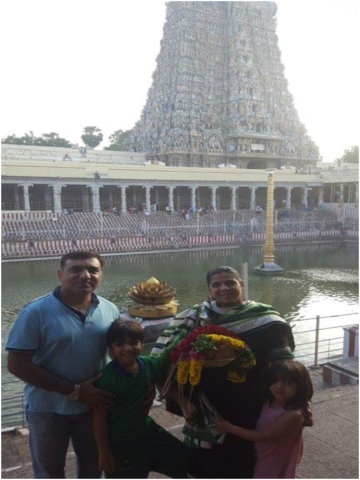 In the evening, we went for the Darshan of ancient Meenakshi Temple which is major pilgrimage destination within the Shaivism tradition, dedicated to Meenakshi (Parvati) and her consort Shiva. On 25 Nov after breakfast we left for our onward journey of nearly 435 km to Chennai. We reached late evening very tired and hungry but the house maid had prepared delicious dinner that we all ate and slept. The next morning I went around the sea facing side of the complex for my early morning walk. 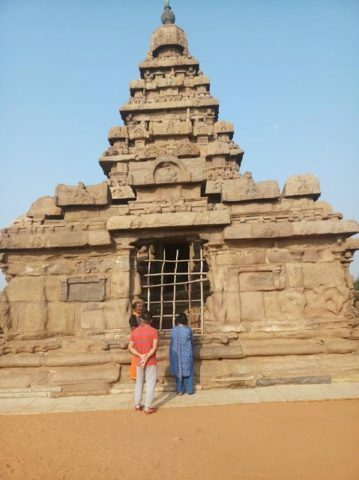 After breakfast we visited Mahabalipuram which is 28.5 km via East Coast Road and 35 minutes drive, to see the monuments built during the Pallaya dynasty. In the afternoon we had hurried visit to our granddaughter’s Chettinad-Sarvalokaa, an extremely impressive school. The infrastructure is eye opening, the classrooms spacious and air-conditioned and the teaching methodology laying emphasis on creativity. It has classes from grade 1 to 5 with only 30 students in the entire school laying greater emphasis is on creative learning. 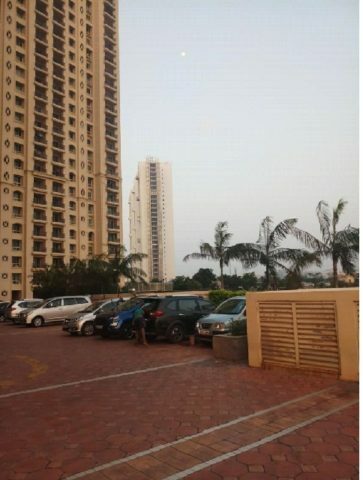 Later, we visited Dinesh Vihar where we has acquired a new flat in the AWHO complex and the Officers Training Academy (OTA) which was our last agenda of the itinerary. On 27 Nov we flew by 1120 am Jet Airways flight to Delhi thus ending our hectic schedule carrying nostalgic memories for ever in our bodies, hearts, minds and souls. Col NN Bhatia ,popularly known as Nini Bhatia in the army was commissioned in the Kumaon Regiment in 1963 and retired in Sept 1995 after 32 years of distinguished service. He is a die hard Kumaoni & written four books- Kumaoni Nostalgia, Industrial & Infrastructure Security in two volumes & biography of another die hard Kumaoni mountaineer of international fame- 'Soldier Mountaineer'. He is prolific writer & has been columnist with 'Lahore Times' & 'Turkey Tribune'. Ah..Ooty! A place I’ve been to decades back, an exotic place then. Heard it deteriorated a lot later on due to rampant commercialisation. Things will get worse if we don’t care, north or south. Thanks, Colonel, for the detailed account. Very good post sir…all pics are very beautiful…thanks for sharing. Col. Bhatia is both professional colleague and friend. Our introduction came through an English language newspaper in Pakistan: Daily Times. I wrote a weekly Friday column and he had written a guest column on POW’s which caught my eye. From Daily Times I moved to the SCEP journal of Pakistan, and from there to Turkey Tribune, where Col. Bhatia also secured a berth for political commentary. Our professional lives intersected again at Fauji Magazine, an outstanding veterans journal where both of us have had the honor of standing in rank with other military journalists. It is a wonderful feeling – this friendship which has now spanned years and which was forged from our background in both military and journalism ventures. Col. Bhatia is a reflection of the military professionalism of his nation and for that I am grateful. The friendship has proven beneficial and it is my sincerest hope that Col. Bhatia will continue to write and share from his life experiences for many years in the future. I had to smile, reading that his grandson is now a member of the prestigious Lawrence School student body. May the collaboration between professors and student be an enriched experience on both sides. I am indeed most grateful to Patrick Jones for his comments on ecological degradation of our hill stations destroying local fauna & flora and increasing conflict between men’s greed and wild birds and animals survival. Thank you Arun for your comments & I am grateful to my friend Gen Manchanda’s remarks. I was fascinated by the unexpected but very encouraging comments of Lt Cdr Tammy Swofford of the US Navy. Though we have not met, we became friends reading and appreciating each others articles on matter military published in both the Pakistani & the Turkish newspapers. Her in depth analysis are amazingly logical and realistic. Thank YOU Tammy, Gen Manchanda, Arun & Patrick Jones for your comments and encouragement. Your pat encourages me to bat longer. God bless. Nini, enjoyed reading your travelogue. Fondly recalled several such trips by car, with wife and kids, while posted as faculty at DSSC- 1972-74. Life is nothing but nostalgia of memories gone past! Bless you for refreshing those. 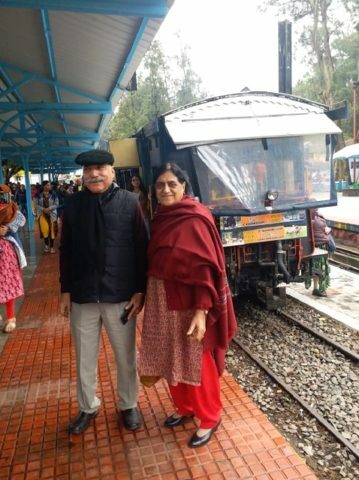 I am pleasantly surprised, humbled and honoured that no less than a soldier, gentleman and a distinguished and highly decorated senior officer who retired as Army Commander Central Command and had lost his leg leading troops in 1971 War, has commented up on my travelogue that brought about nostalgic memories when he was posted as Instructor in Defence Services Staff College in Wellington near Coonoor during 1972-74, immediately after the 1971 War. Thank YOU Sir.You have made my day & I need constantly your motivational support and encouragement as my very senior and distinguished veteran to write more creatively on travelogues and matters military. Bhatia Sir, quite a few places you covered in this short trip. Never been to Ooty but read a lot about it. And 200% agree on your comment around overall decorum. Every time I come back from Blr/Chennai/Hyd, this thing hits you right on the first encounter. Hoping that it gets better. Nandan Ji with a tag of Well traveled, it is always a sheer delight for me to have your comments on my travelogues invigorating me lots. You must visit Ooty and thereafter we can keep comparing our ‘देवभूमि उत्तराखंड’ especially the Kumaon Hills that I love lots being from the battle hardy ‘The Kumaon Regiment’ with other beautiful pristine hill stations in our beautiful country, till cows come home. YOUR WRITE-UP IS PAR EXCELLENCE! THE PHOTOGRAPHS ARE SUPERB AND TOOK ME WANDERING DOWN MEMORY LANE. VIVID RECOLLECTIONS EMERGED OF MY TIME SPENT EITHER RIDING AS A OFFICIAL OF THE FOX HUNT OR JUST PLAYING GOLF AT THE OOTY COURSE. WELL DONE SIR! DO KEEP TRAVELLING AS YOU BRING GUSTS OF FRESH AIR INTO LIVES OF THOSE WHO CANNOT MOVE AROUND FREELY.OR EASILY. Thanks a ton Jasbir. You are a war decorated soldier & an officer par excellence. You are also a great writer & creative artist of repute with pastel & oil colours. Getting such heartening comments from you on my Ooty travelogue are a great honour for me. God bless Kumaoni fraternity. Dear Colonel, your wonderful write up is a very big help to me at this hour. I have planned to stay at Ooty and do a day trip to Coonoor and Kotagiri after a few days.Your valuable information would come in handy. I shall also be covering Bandipur and Nagarhole national parks during the same trip.I’ll be flying back from Coimbatore ,but halt there for a night. So ones again thank you for your varied information on Coimbatore as well. Thanks a lot for your comnents on my article. I am glad it is useful to you in planning your trip to Ooty. If you are reaching Coimbatore by air, travel to Ooty via Kotagiri route while going up & via Coonoor while going down hill. In Ooty you can stay in RTOHH. Its Officer Commanding is Col SK Singh whose Mobile No is 9472950328. Please ring him now for accommodation as it is safe, conveniently located, very popular joint with miltary officers & their families & beautiful to stay for a short holiday in Ooty. It is a nice coverage of the south and Ooty is a dream for us when we were kids as we are from neighbouring kerala and I still remember my first trip there in 1984 and it was so pure at that time with morning fog and cool breeze and the ever green pathways and beautiful gardens.I have been to this hilstation many times thereafter but the first was the best.I like the way of presentation and the photos .Hope to read many more of your journeys. I am very glad to know that about your south # Ooti trip.I like your all photographs (Specialy your family photo graphas).We are also in planning for a south trip . Please give my Charan Vandana to your wife Mrs Rajni Bhatia. It is a pleasure to read your travelogues. Whenever I read them, I feel like being introduced to your family and to many places that then get added to my wishlist. Ooty, though so close to the city which is my home town, has not beckoned me yet. But like I said, it now is on my wishlist and shall soon be covered! Archana ji, there is an old saying (on the lighter side), ‘ Nearer to Church, away from the God’…but I am glad you have added ‘Ooty’ in your wish list. 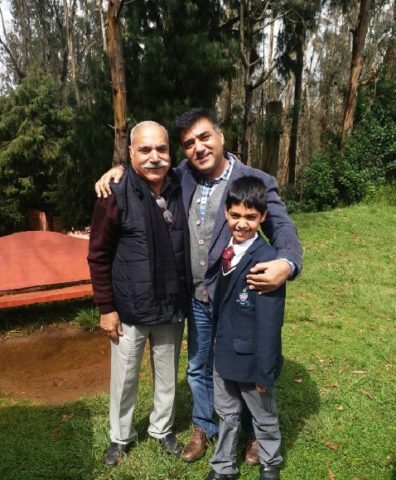 I look forward reading your Ooty travelogue now as you are blessed with the creative writing….